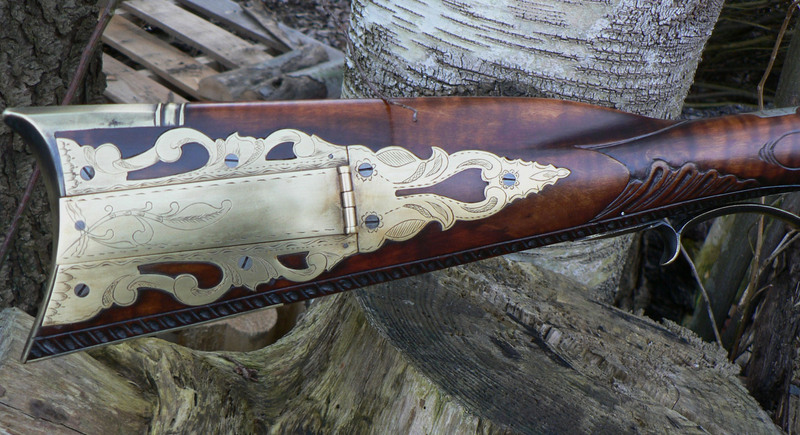 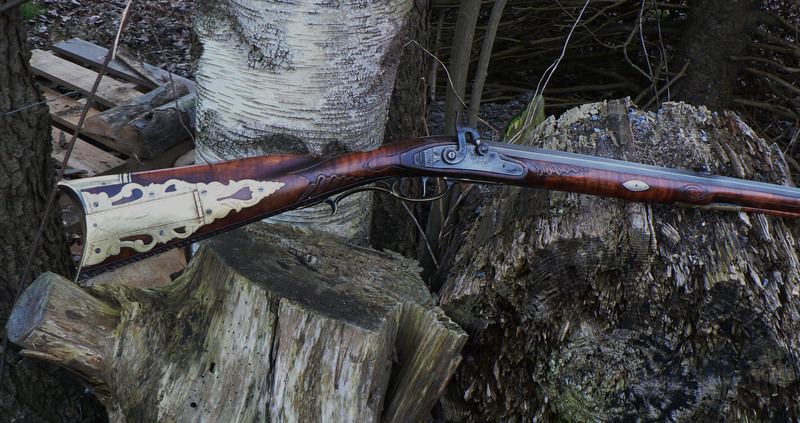 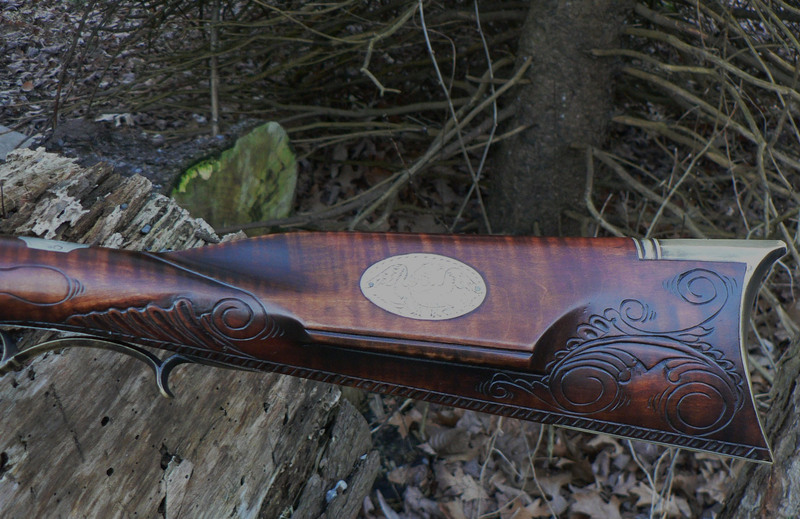 This rifle was built in the style of Thomas Allison’s work. 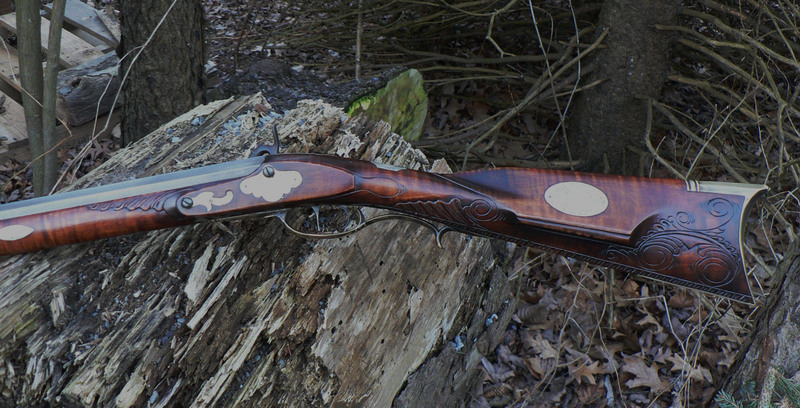 The client who lives in northwestern PA, wanted a percussion rifle in 45 cal. 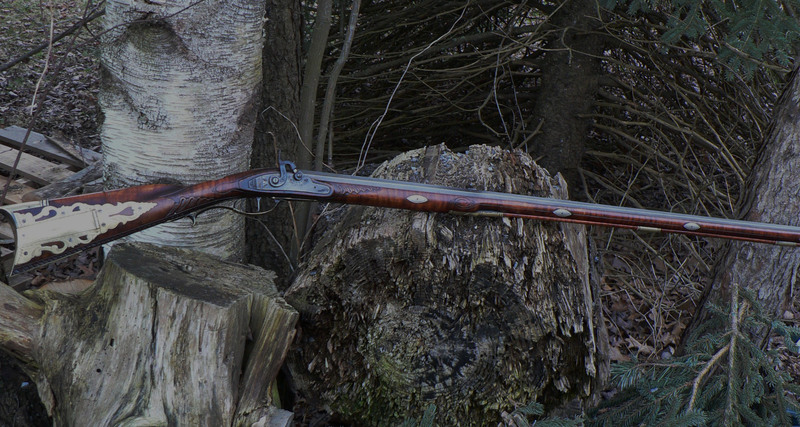 for hunting groundhogs and club shoots. 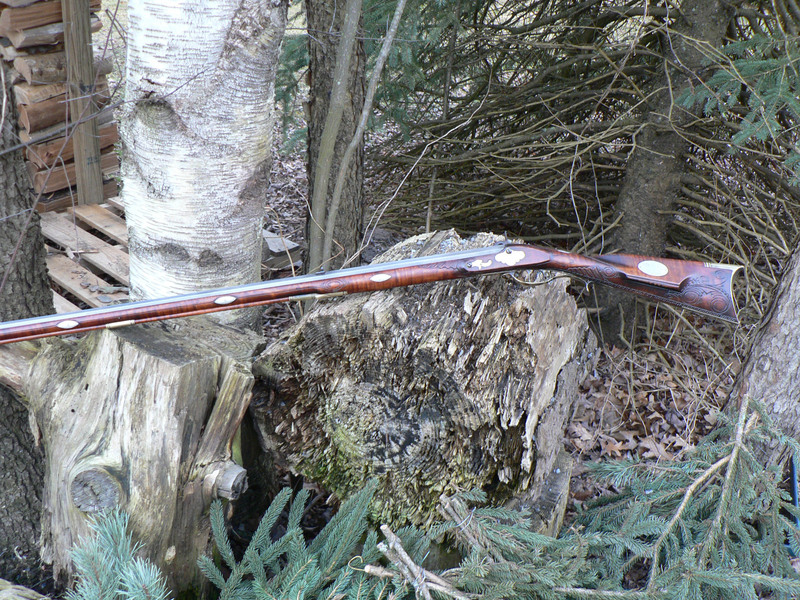 He reports that it works well for both tasks, plus gets attention wherever he takes the gun.